One photograph of trail riding depicts so much time and work that it holds much more then one stopped moment in time. Countless days of hard work went into the creation of each jump. Include the yearly spring maintenance to the older jumps and you could easily add up add up hundreds of hours per jump. It’s these memories that keep our hopes alive durring a time we have no trails. The trails have been plowed. Not much to say but we will miss having a place to come together to ride with some of the best trail riders and coolest people ever. We are on a mission to find a new location to create our next masterpiece. Our plan is to stay motivated and build a new spot bigger and better then before. Some of the best photos we have taken and highlight of the woods will be posted soon. 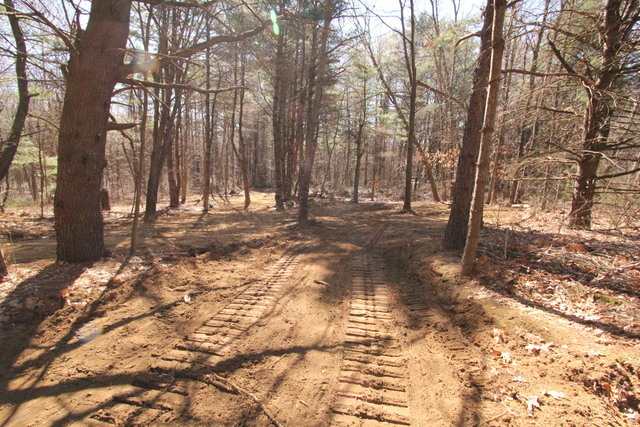 The trails will be leveled this week. We were told to take our tarps and tools out of the woods before the Heavy equipment arrives. The owner who so kindly let us stay so long and use his property must relieve all opportunity for liability issues before the land can be signed over as Federally Protected Land, which was the only option after the Supreme Court ruled no housing development could be built on the land last year. So we have some photos of what we are leaving behind. We are sad and hurt to see our creation destroyed. Our creativity, art, passion, time, energy, sweat and blood have been poured out into these woods to build a place where dreams became reality. Gravity was defied. Friends were made and brought closer together. Food was grilled and cooked over open fires. Hundreds of shovels were worn out or broken. We took care of the trees and animals like you would take care of your own home. Dirt was dug, moved, smoothed and packed into structures of airborne flow. We flowed this woods for SEVEN years. So the end of the line has come. We will lose all the time, and all of our creation but we will not lose our love for building and riding trails. We are Trailbuilders, this is what we do. We build and we ride the biggest, best, most unique amazing high-speed form of jumps possible. And we never give up because we are trialbuilders throughout our heart and soul. Memories of this woods will last forever! This is just a small portion of Shovels we destroyed while creating our great dirt sculptures. The woods is turning green fast and animals are out playing hide and seek with us . So nice to be in the woods!. Below Joel and Johnny putting in work. First day of riding Johnny was all about the whip already. Hopefully this year will be a good year for lots of this! Trails are finally starting to look good. We have been putting in work on some new jumps and getting the old jumps dialed back in from the winter frost damage. Below Zak, Joel and Sasha making big mods to the 4th landing of Overkill. Johnny Dialed the 4th jump pretty wild this year, it should be a roaster. Joel and Sasha Dialed the 5th landing of Overkill. 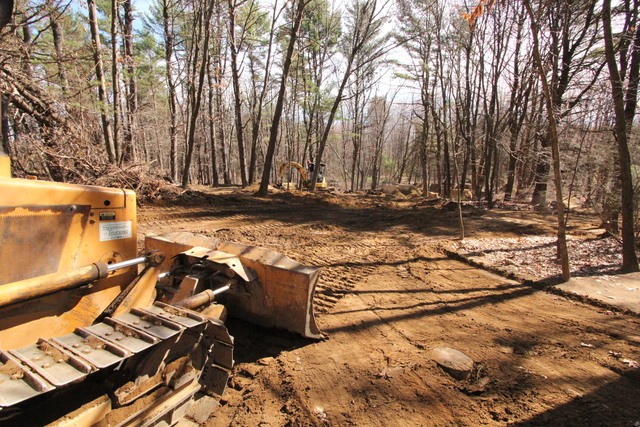 Spring has arrived in New Hampshire so Spring cleanup is underway at the trails. Johnny keeping the flames roaring. This is a back rest to a mighty comfortable chair. Don’t mess with the trail demons! There are many hidden in the woods. Winter hiking is realy fun in the mountains, these photos below explain why better then words. Below are photos from one Winter adventure with Johnny, Aurora, Ian and Joel up Frankenstien Cliff Trail to Arethusa Falls located in Crawford Notch. Below is Ian Day on a random cool rock. Johnny Herrick walking the line on a down tree. Johnny and Aurora on Frankenstiens Cliff enjoying the solitude of Winter and a loving embrace. Aurora, Johnny and Ian on the Frankenstien Cliff Trail in route to Arethusa Falls. Ian Day and Aurora on the ice of Arethusa Falls. Joel and Ian siked to see the 220 feet high ice of Arethusa Falls.